· Popular Sovereignty: The people are the ultimate source of the authority for the government. It derives its right to govern from their consent. · Basic Rights: Life, liberty, property, and the pursuit of happiness. As an atheist and a skeptic, I have a deep appreciation for the incisive simplicity of these principles. 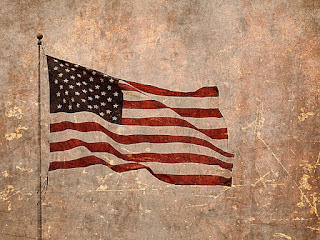 True American patriotism, by its very nature, prohibits nationalism. A true American patriot holds government accountable to the people. The Iraq War, which ultimately killed between 144,745 and 166,468 civilians and orphaned over half of Iraq’s children, was initiated despite the CIA’s “best Intelligence” indicating Saddam Hussein did NOT have weapons of mass destruction. A war precipitated by ignoble motivations is tantamount to mass murder and should be repellant to a real American patriot. A true American patriot ensures that minority rights are protected. The Constitution is very clear on this point. However, disregard for the rights of minorities are in the news every day. African Americans represent 13.2% of the US population, but are arrested at a rate “10 times higher than people who are not black.” Unfairness to any minority group is repugnant to a true patriot, but may be seen as trivial to the nationalist. A true American patriot supports the natural rights of everyone everywhere to live freely and pursue their own happiness. Freedom is a fragile and complex notion. Initially, a capitalistic, free-market economy is a healthy environment to foster freedom. However, anyone who has played the game Monopoly knows that it always ends the same way. One player will own everything, while the other players have nothing. Monopoly is an unrestrained capitalist, free-market economy. In the real world, if a society wishes to preserve freedom, capitalism must have checks and balances that continuously even the playing field. Regulations on banking, Wall Street, and others at the top of the food chain protect liberty and freedom for the average citizen. The fundamental values outlined in the Constitution are forever in the hearts of true American patriots. American liberals and American conservatives should also be American patriots. Nationalists wrapped in the American flag, who claim patriotism, need to be outed for what they really are. Teachout, Woden (2009). Capture the flag: a political history of American patriotism. New York, New York, USA: Basic Books. p. 230. "CONSTITUTIONAL DEMOCRACY." CONSTITUTIONAL DEMOCRACY. N.p., n.d. Web. 30 Oct. 2015. Taylor, Peter. "Iraq War: The Greatest Intelligence Failure in Living Memory." The Telegraph. Telegraph Media Group, n.d. Web. 30 Oct. 2015. Groups, and Average Citizens." Perspect. Polit. Perspectives on Politics 12.03 (2014): 564-81. Web. "USA QuickFacts from the US Census Bureau." USA QuickFacts from the US Census Bureau. N.p., n.d. Web. 30 Oct. 2015. Heath, Brad. "Racial Gap in U.S. Arrest Rates: 'Staggering Disparity'" USA Today. Gannett, 19 Nov. 2014. Web. 30 Oct. 2015.